Intelligent transportation systems (ITS) have come a long way since simple street lights and road signs from just a few decades ago. 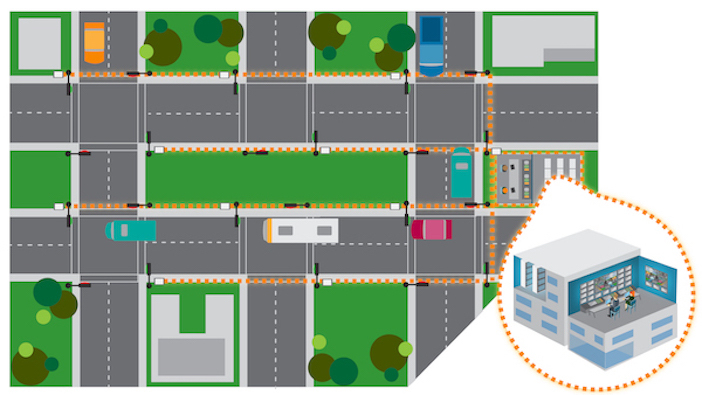 Today’s intersections use a multitude of sophisticated cameras and sensors integrated with highly advanced algorithms for real-time traffic reporting, monitoring, management, and roadway safety. Largely due to government-sponsored programs, such as the smart city initiatives that began in the late 1990s, cities were given resources to upgrade their aged transportation infrastructure. These upgrades made way for the development of the advanced transportation technologies we see today within our streets and highways. 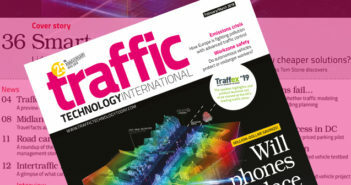 Intelligent transportation systems, however, are much more than just thermal cameras and advanced radar detection sensors. It’s comprised of integrated systems such as crash prevention and safety, congestion management, and electronic ticketing and payment systems. All these systems together produce safer, more efficient means of travel. The strategy of integrated advanced transportation technologies in our city streets and highways has paved the way for decreased motor vehicles accidents and fatalities, increased ridership in public transit systems and an overall better quality of life for pedestrians, cyclists, and vehicle occupants. For many, the upgrade process was slow, lengthy, and expensive. Starting with the underlying cabling, cities replaced miles and miles of legacy analog and twisted pair cables with newer fiber optical cabling. Traffic control cabinets were retrofitted with state-of-the-art traffic control units and industrialized networking equipment was added for Ethernet connectivity. Once the roadway infrastructure was upgraded, the development of central control systems and stations were needed to support newly implemented technologies. Transportation management centers along with other substations were initiated as a means of centralized management for video streams, notification alerting systems, and roadway and traffic bulletins. These transportation management centers, usually located in city halls or other government buildings, are staffed with traffic engineers, infrastructure architects, and administrators who are responsible for the day-to-day operations of backend systems used to store and manage data. Their critical, primary role is to ensure the correct agencies receive the proper data for real-time roadway incidents, emergency services, and area outages. Another responsibility of staff is to oversee the management of these systems; including planning maintenance, upgrades, and updates. Traffic control cabinets located near intersections and roadways are the central nervous system of intersection communication. Outfitted with traffic control units and industrialized layer two network switches, traffic control cabinets provide the IP communication for lights, cameras, sensors, and radios. These cabinets, are interconnected in large metro area networks as well as wide area networks, forming communication topologies for optimizing data flow. Traffic control cabinets, in turn, use various methods for backhaul communications including fiber cables, hardened wireless access points, cellular radios and/or microwave antennas to communicate back to transportation management centers where data gets processed through management software and relayed to appropriate agencies. Even as technological advancements in ITS are creating more and more opportunities for efficient transportation and congestion management and disaster services, many cities are not able to fully implement the new technology into their transportation infrastructure. The cost associated with the implementation of advanced transportation technologies including support system infrastructure, staff, and specialty contractors can be extremely expensive. In cases where cities have already committed a large portion of their transportation resources to other critical projects such as highway expansion and road repairs, costs to fully upgrade transportation infrastructures can be deemed too high. For these types of cases, cities must contend with the idea of marginal upgrades or upgrades over an extended period of time. In either case, additional preparations and configurations are needed, as these types of upgrades have to deal with integrating existing legacy systems with newer updated technology. A mid-sized city in the southwest planned to install additional intersection cameras throughout the city. However, before the installation could take place, two major challenges were presented that the city had to overcome. The first challenge was linked to the city’s budget. The city could not afford to install all the cameras at once. Instead, the city would divide the intersections into quadrants and the different quadrants would be installed over a series of months. The second challenge facing the city was more problematic: the necessity to increase bandwidth between each traffic control cabinet. Their current solution was not equipped to handle the video streams that would be generated from the new cameras. Each traffic control cabinet was, at the time, equipped with one industrial 10/100 fast Ethernet switch connected to the adjacent control cabinet through 100Mbps fiber optical cabling using a small form-factor pluggable (SFP) connector. However, the new bandwidth requirements called for a gigabit connection between cabinets and thus the 100Mbps connector currently being used was no longer suitable. The city called on their current Ethernet switch provider to get assistance with this issue. The Ethernet switch provider suggested their new line of gigabit switches to handle the requirements. However, the switches’ SFP interfaces would only operate at 1000Mbps so they would not interface with older switches at neighboring, yet-to-be updated intersections. Fortunately, Antaira Technologies was able to step in and find a solution. Antaira Technologies was able to show the city a line of industrial networking switches that were designed with SFP modules that could operate at 100/1000 Mpbs. After deliberation, Antaira’s LMP-1002G-SFP-T was recommended as the ideal solution. The 10-port industrial Power over Ethernet (PoE+) managed switch allowed for the backwards compatibility the city required in order to connect legacy switches with the newer, faster switches permitting a path for upgrades. Antaira Technologies’ industrial line of networking switches has backward compatibility communication between 10/100Mbps and 1000Mpbs. The extended temperature of -40° to 75°C (-40°F to 167°F on Antaira’s temperature-rated line of Ethernet switches makes the switches ideal for harsh conditions found in the high temperatures of the Southwest. In scenarios where backwards compatibility is a must, Antaira offers reliable solutions that make integration seamless － saving both time and money. Antaira’s flex fiber and Ethernet combination switches are ideal in critical locations where upgrading can only be done piece-by-piece or section-by-section. Integrated communication focused on backwards compatibility is what Antaira does best.